Radiofarda – Security forces have reportedly attacked prisoners at the Qarchak (Gharchak) detention center in southern Tehran to stop female inmates protesting conditions at the prison. Tear gas canisters were fired into the closed space of the prison on February 7. The attack was resumed on February 8, during which prisoners were beaten by guards, a website and Telegram channel run by Sufi dervishes of the Gonabadi denomination, reported, adding that several severely injured inmates were taken to hospitals. There are many women from the Dervish community detained at the prison for participating in protests last year, but it is not clear what percentage of the prison population they constitute. This tweet shows a view of the prison on February 8, with smoke still rising from the complex. ماموران گارد مرد به زنان زندانی حمله ور شده و آنها را ضرب و جرح نمودند. According to the Washington-based Abdorrahman Boroumand Center (ABC), prison officials had recently promised the 1,000 female inmates at Qarchak that Iran’s supreme leader would pardon most of them, except those convicted of murder, as part of an amnesty plan. But ABC maintained that prison officials released a shorter list of women to be pardoned on February 7, prompting angered inmates to pound on their doors and walls. Iran pardons thousands of non-political prisoners each year to celebrate the victory anniversary of the Iran’s 1979 revolution, on February 11, 1979. Fifty thousand prisoners are scheduled to be pardoned by Supreme Leader Ayatollah Ali Khamenei, the country’s chief-justice Ayatollah Sadeq Amoli Larijani recently declared. 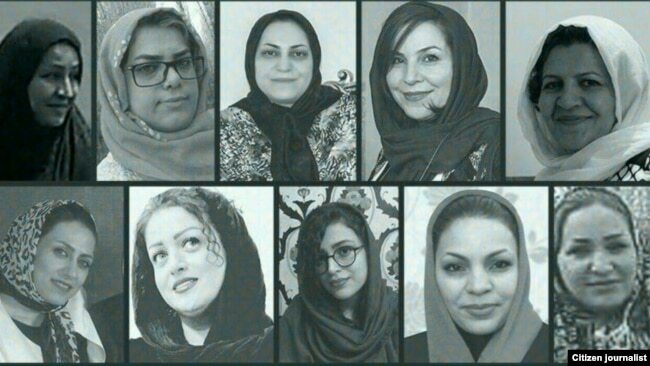 Nevertheless, sources close to the female dervishes behind bars at Qarchak report that the real reason behind the protest was the unbearable conditions at the prison, where thousands of women incarcerated for various crimes are held together. The relatives of numerous prisoners have expressed concern over the fate of their imprisoned loved ones and the “extraordinary situation” of Qarchak Prison after the clashes. A relative of the prisoners told the dervishes’ site that some of the prisoners were severely beaten by guards and they were transferred to the medical ward. AI also said it has previously documented cases of “appalling ill treatment” of prisoners at Qarchak. “Inmates at the site, which used to be a chicken farm, are held in overcrowded and unhygienic conditions, without access to safe drinkable water, decent food, medicine, and fresh air,” AI noted.